Peppermints for Rescues 12 oz. 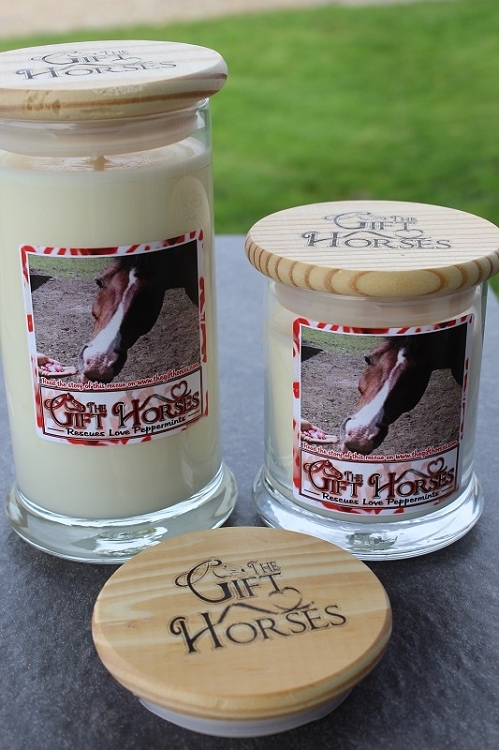 Home > Candles > Peppermints for Rescues 12 oz. THE SCENT OF LOVE They stood, heads down, eyes dull, awaiting their next fate. Little did they know that on this night, they had been bought by the horse rescue who just happened to be monitoring this small town auction. Sad and dejected, like puppies in a cage, tears gathered at the corners of their eyes as they sighed the deep sigh of rejection. And then, the miracle happened. There at the front of the stalls, the crinkling sound of cellophane was heard. Long forgotten memories flooded their eyes with hope. Ears pricked forward to listen to that long lost sound. Nostrils flared to catch the long forgotten scent. With hope and peppermints life and love begin again. These candles will feature Rescue Horses and their story will be on the Rescue Horses page. 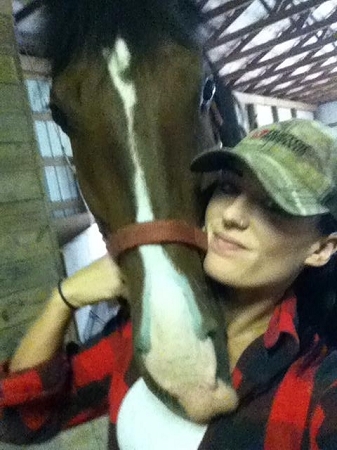 Our 1st featured horse is Duke, an American Saddlebred and his FOREVER person, Casey Blinn. Enjoy and share his story.